New home sales fell 12.6% from December to January down to a 284,000 seasonally adjusted annual rate. Less than 500 homes sold during the month above $750,000. 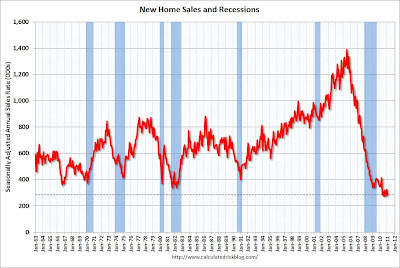 Only 19,000 homes sold during the month, the lowest number in history.